Home » Blog » How Does LinkedIn Work? Having a LinkedIn Profile that’s all dressed up and then not using it as a vehicle for engaging, being active and Connecting is a bit like introducing yourself once to someone that you’re interested in building a great relationship with and then never contacting them again. You wouldn’t, would you? For a LinkedIn strategy to be successful you always need to have a goal in mind but, in my humble opinion, the first step to achieving the goals people often have for LinkedIn starts with relationship building. If your aim is to build your online brand and reputation, then you first need to create a strong network of interested and relevant Connections who can, in time, come to recognise your brand and you as an industry expert. If you intended to secure sales on LinkedIn, paying customers first need to be Connections and then business contacts you have developed a positive relationship with. Engaging on LinkedIn (i.e. Commenting, Liking and Sharing other people’s posts) can be daunting when you’re new to the platform. But don’t worry, everyone has an opinion – don’t be afraid to share yours! I’d recommend spending ten minutes or so each day ‘scrolling’ through your LinkedIn Newsfeed (where you find posts that your Connections have published or updates Companies you Follow have posted). Some posts are bound to resonate with you and catch your eye. Think about why they captivate your attention. Is it because you disagree with what the post is saying, or the opposite (you agree)? Has someone asked a question or shared a problem that you have a solution for? Is someone looking for an idea that you could provide them inspiration for? If this is the case, Comment! If you stumble across a brilliant article or a post from someone in your network that you think your Connections will benefit from seeing in their Newsfeeds, why not Share it, adding your own short Comment giving context about why you found it interesting? If you encounter posts from people saying they’ve won an award or gained a qualification, Like the post and Comment expressing your congratulations to show your support. Be respectful. – It goes back to the schoolyard saying, ‘treat others how you wish to be treated,’ and applies just as much to the online world as it does to real-life situations! Say nice things. – First impressions and your online reputation count, so try to keep things positive on social media. Leave a response that asks another question. – Don’t let the thread end with you, if you can, further the debate/conversation by posing another question. Do you know what’s almost as bad as someone who has a brilliant LinkedIn profile but is a silent LinkedIn user (a.k.a someone who doesn’t engage on the platform)? Someone who doesn’t publish their own content to add value to their network! We’re all experts at something, whether it’s nutrition, finance or web design – potential customers wouldn’t ring or email you otherwise. In fact, you wouldn’t have customers at all if it wasn’t for your expertise! No matter if it’s sharing advice to educate or inform people or imparting knowledge via a case study that illustrates how you helped a client overcome a problem, which could inspire or motivate someone in your network – your audience want to know! LinkedIn isn’t like setting up a blog from scratch, you already have a ready and waiting audience in your Connections. All that’s left for you do is put pen to paper! Don’t forget you can also share Infographics (visually appealing diagrams), videos, links and compelling photos to make your LinkedIn Post or Article varied and dynamic. Publishing original content builds your authenticity and credibility. However, you can also be active on LinkedIn by giving Recommendations and Skills Endorsements to people in your network; you’re not likely to receive any yourself unless you’re prepared to give them where they’re due! Be consistent. – Don’t overstretch yourself. If you can only publish 2 LinkedIn posts a week then so be it. But be consistent with how often you post and make sure your content adds value to your Connections! Be succinct. – We’re all busy so make sure you skimp on the waffle and get to the point. People often access LinkedIn on their phones so keep paragraphs no more than 3-4 lines long. Don’t put on your “posh voice”! – Avoid bamboozling people with jargon they are unfamiliar with. Instead, break any industry-specific insights or technical language down and take a user-friendly approach. Never ask the obvious question. – Try to write a post based on a topic that you don’t think gets covered enough. Alternatively, provide an original and unique answer to a frequently asked question to increase your post’s chances of standing out. Keep in the conversation. – If someone is nice enough to take the time and Comment on your LinkedIn Post or Article, reply back. Answer any questions people pose about your article. Even if it’s a compliment they have paid you, say thank you! Just as you wouldn’t attend a business seminar or conference and not speak to anyone, you can’t build relationships that develop into business opportunities on LinkedIn unless you reach out and Connect with people. So always be sure to personalise a Connection Request where possible. Perhaps a mutual contact recommended that you Connect? Maybe you saw the person you’re looking to Connect with, speaking at an event, and you’d like to get to know them better? Let them know! 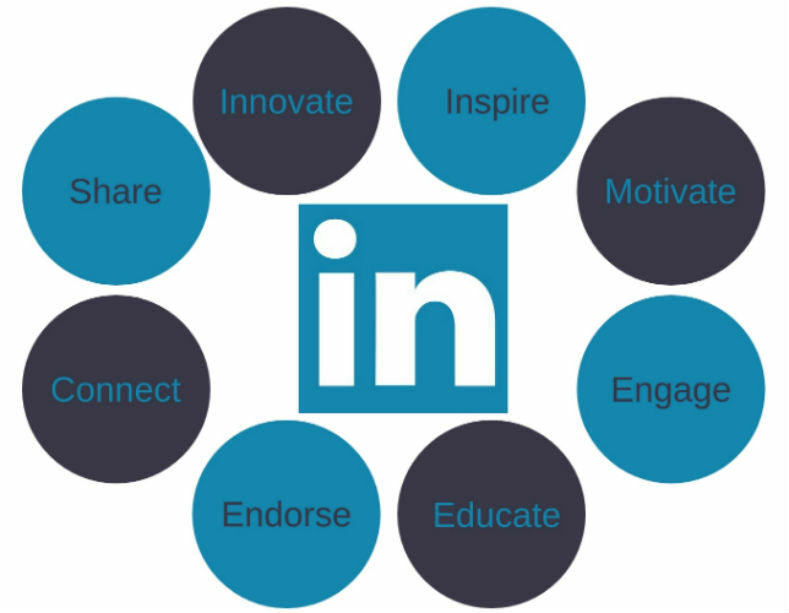 Interested and would like to know more about the power of LinkedIn? I’m running interactive and fun LinkedIn Workshops that are ideal for beginners on Wednesday 15th May and Wednesday 26th June. I’d love to have you there and so I can help you out!